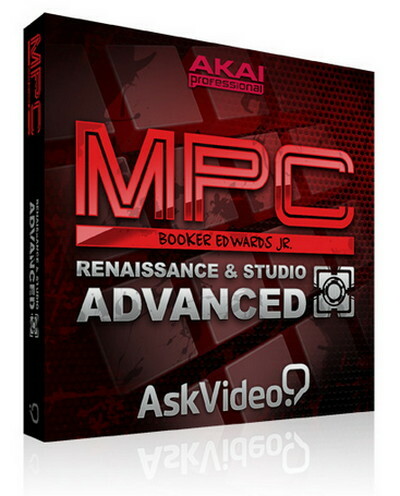 MPC 201 Renaissance and Studio Advanced | Free eBooks Download - EBOOKEE! MPC 201: Renaissance and Studio Advanced (2013) | 363 MB English | 117 mins | AVC1 1280x720 30 fps | AAC 96 Kbps 44.1 KHz Genre: eLearning Now that the MPC s controls are jammed into your brain, it s time to put them to work and get creative! In this advanced MPC course, you learn the art of making music on Akai s MPC Renaissance and Studio with Hip Hop producer and MPV expert Booker Edwards, Jr. leading the way You ve got the tools. You re getting your head wrapped around the software. Now it s time to kick out the tracks! Building upon the knowledge of his MPC Revealed course, urban music artist Booker Edwards takes you beat-by-beat through his creative process and shows you how to produce an original Hip Hop track entirely from scratch! Let the inspiration begin! How cool is it to be sitting next to an MPC master - like Booker - as he invites you into his production world. It is here that you see him and the amazingly integrated MPC in action. You re invited along on the musical journey as his song evolves, builds and systematically takes shape fusing the integrated power of the MPC hardware and software. You learn the art of building and sequencing drum parts and virtual instrument tracks as Booker sculpts his ideas. Throughout this course you master Booker s tips on sampling, mixing and arranging that he deploys as he effortlessly guides you through the complex process of MPC-style music production. This course is a hands-on producer s guide that artfully mixes MPC technical "need-to-knows" with universal music production tips. And it s all here waiting for you join in! So sit back and become enlightened as Booker Edwards pushes the MPC to the production edge and returns with a Hip Hop track that both educates, empowers and inspires you to dig deeper into the rich world of making music with the MPC. No comments for "MPC 201 Renaissance and Studio Advanced".